Dual-Trigger Steering makes tight turns effortless. Simply pull a trigger to release the left or right wheel to help make tight turns. Heated hand grips with an on/off switch keep your hands warmer while clearing away the cold snow. Integrated LED headlight provides better visibility in low light. Durable steel frame and chute and notched steel auger can take on snow and ice with ease. 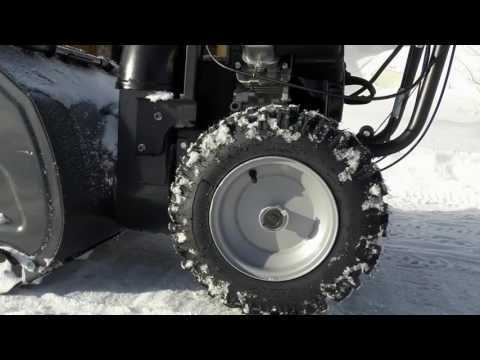 Designed for snow applications, large 16" x 5" tires will provide you with superior traction. 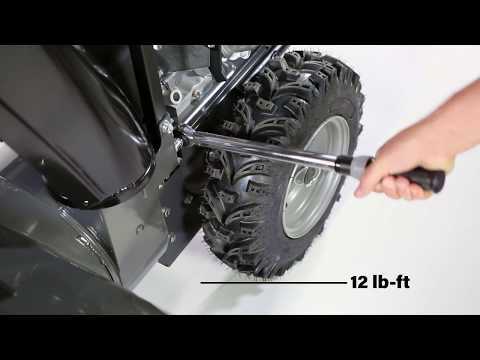 Free Hand™ Control offers one-handed operation of the snow blower, allowing you a free hand to rotate the chute, adjust the deflector or change the speed.